We are coming out of the unseasonable summer of our discontent and back into winter it seems. So absurd; multiple closures, pervasive angst, and for those of us who love snow and skiing, massive grumpiness all around. As for the people who make their living off this uncertain “crop”, their concerns must be exponential. But we are out of it this weekend the weather gurus say, so make plans. 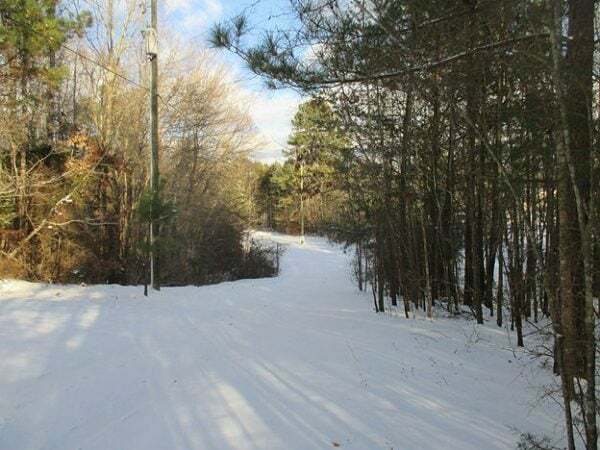 Head to the mountains, it will be a few days but the resorts who make snow will be building their base and trail counts will climb again, and quickly. BUT, here is my take away from our last whiplash weather event—ski anything you can, anytime you can, and each time any opportunity allows. 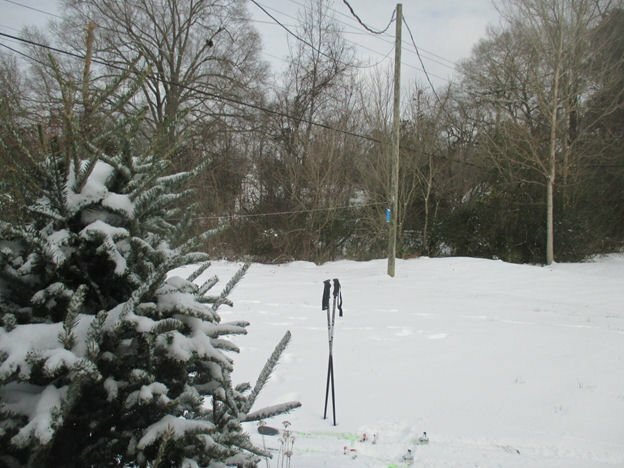 I was at home during the storm event two weeks ago in central North Carolina and while there, I conquered some major terrain. Mole hills are Mountains when you are starved for snow. Back Porch Bunny Slope! Click to Enlarge! Gravel road with three degrees of grade, a classic Southeastern steep. Hard to remember now but January broke records in a good way until we became the national poster child of melting conditions. 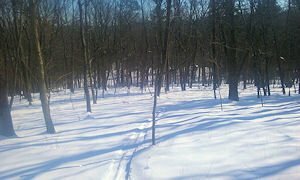 Still one perseveres, and I accomplished a long time objective; the radical steeps of Occoneechee Mountain, (Click to Visit), the highest point in Orange county and 150 vertical feet of the best glade skiing south of West Virginia. I loved it all. 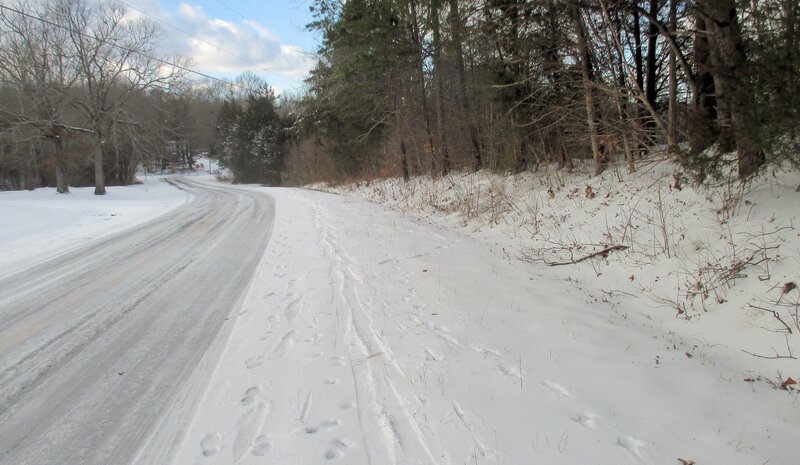 My point , we are captive to increasingly uncertain conditions so cherish the next snow; take your kids, meet your neighbors, slay your smallest hill. May winter reign till May. 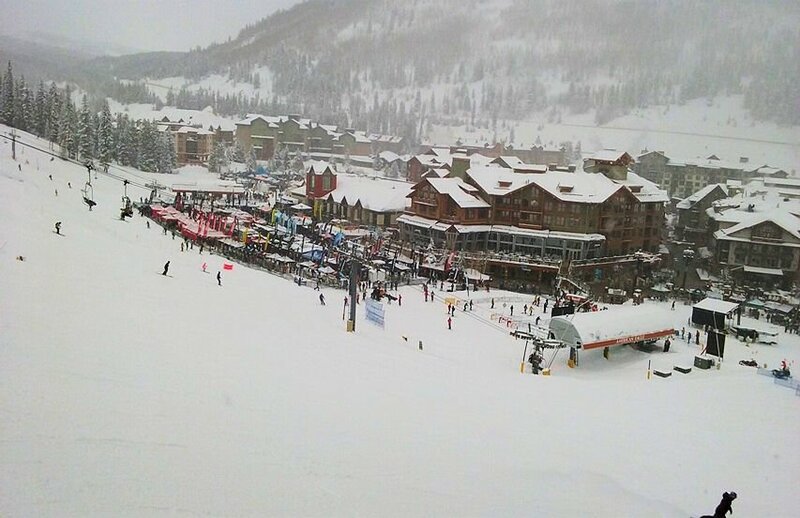 The Snowsports Industry of America event will be held in Colorado this weekend. The first part is at the Denver Convention Center with a colorful array of skis, boards, equipment and clothing. a very nice place to walk around and be overwhelmed by how far skiing has evolved. I was there last year and still feel a little dizzy. The more significant part of the event, to me, begins on Monday when the mother of all demo days starts at Copper Mountain. 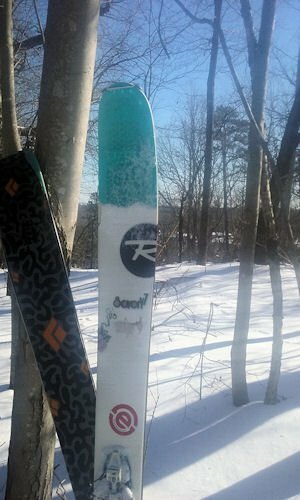 Every major ski, board, sock, beanie, and unknown but essential widget manufacturer is represented. I’ll be there and frankly I could use guidance. 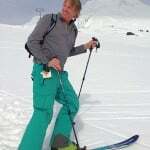 If there is any ski you have heard about or are wondering about send me an email at [email protected], I’ll try it out. By the way one of the best things about this show is that the “smaller” companies are there. I will be checking out the 2017 version of Moment Deathwish and Underworld for example, and G3, etc. Many small companies like DPS and Icelantic are now majors; it’s interesting to see how it shifts. Everyone enjoy, thank goodness we have some winter ahead of us again.